While it's easy to get carried away with the latest trends in tech, we wanted to take a more realistic approach - no buzzwords, no fads - just genuine takeaways from what we've learnt and experienced this year. Plus, a few thoughts on what we think is in store for the year ahead! The use for Digital Asset Management systems is rapidly increasing for more and more industries. The explosive growth of content generation and social media has lead to a seamless adoption of Digital Asset Management by marketing teams, but organizations can see even greater value when employing their DAM as a central hub, to be used by various departments - both internal and external. 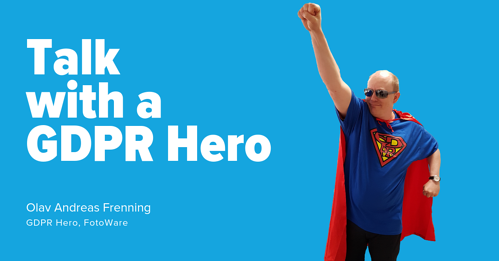 For instance, 2018's GDPR mania saw many organizations from a range of industries including Retail, Manufacturing, and Education, opting for a DAM thanks in part to the ability to quickly and easily find digital assets that may need to be erased in accordance with the new laws, upon request. ...and it's not only businesses that benefit either - 14% of new FotoWare customers in 2018 were in healthcare! We're seeing more and more healthcare services requiring a DAM for the management and viewing of clinical photographs taken by professional clinical photographers, doctors and allied health staff. Hundreds of thousands of clinical photographs are produced each year and there's a growing requirement for effective management of these images, which is increasing with technological development. FotoWare Wish #1: In 2019, we hope that even more marketing teams using DAM will be able to open their collections to the rest of their organization, or external partners, to achieve greater end-to-end brand consistency! This year we hosted our first ever Digital Evidence Management event, bringing together some of the world's most innovative Police forces for two days of sharing, learning and collaborating. The capability of the FotoWare system to handle large amounts of visual evidence files is making it easier than ever before for police officers to quickly identify, select, use, and share evidence. This ultimately allows for more time to be spent on keeping our communities safe. In the autumn, FotoWare was named as one of the Top 3 Major Key Players in the Digital Evidence Management industry by BisReport, rivalling many world-famous tech giants. Today, more than 80% of police forces in the UK - 35 out of 42 - benefit from the FotoWare solution. FotoWare Wish #2: We're extremely excited to see how this area develops, bringing smarter, faster, and more efficient methods to policing. We hope to be able to help more forces around the world benefit from DAM! At the beginning of the year, we partnered with Imagga to bring FotoWare users the possibility to make use of auto-tagging and content-aware cropping for their photos. This AI solution suggests intelligent keywords after automatically analyzing the contents of the images, and has one of the most comprehensive libraries with more than 23,000 keywords. In addition to identifying objects, the technology can also recognize concepts within images, tagging whether an image displays surprise, love or happiness. This represents the beginning of the endless possibilities and exciting innovation that artificial intelligence can and will continue to provide in this industry. FotoWare Wish #3: In 2019, we hope to see more AI possibilities introduced, that go beyond keyword tagging, and enable DAM managers with automatic recognition of emotions in video and accurate live translation of subtitles. Watch our Australian Partner, Pivotal, demonstrate the use of AI for metadata management in the FotoWare Digital Asset Management system. In 2018, API integrations continued to advance for our customers, allowing for even greater control and personalization of their FotoWare systems. As mentioned above, the ability for metadata management to be integrated with cognitive services from the likes of Microsoft, Google and Imagga can save you and your team hours of time thanks to smart auto-tagging. It makes finding your digital assets even easier than before for everybody in the organization. In 2018, 31% of all new FotoWare customers were from the Retail & Manufacturing industries - many of whom also depend on the use of Product Information Management systems (PIM) to keep track of important information to manage their products effectively. The FotoWare Digital Asset Management system can be integrated with PIMs to ensure that you have control of product data and information, and can keep track of them effectively, while also being able to find, manage, share and collaborate with your digital assets. Read a breakdown of the differences between DAM & PIM here. Thanks to SSO technologies, we can now use multiple services from different providers to enable the use of only one login. This makes the experience for our users smoother than ever! Digital Asset Management becomes easier to roll out to larger groups, or even the whole organization, through any active directory. FotoWare Wish #4: We hope for even more connectivity in 2019! We wish to see user experiences that work seamlessly and help them do the best, most efficient job possible. We put the customer experience at the center of our mission and aim to provide a combination of services to perfectly fit the user journey. 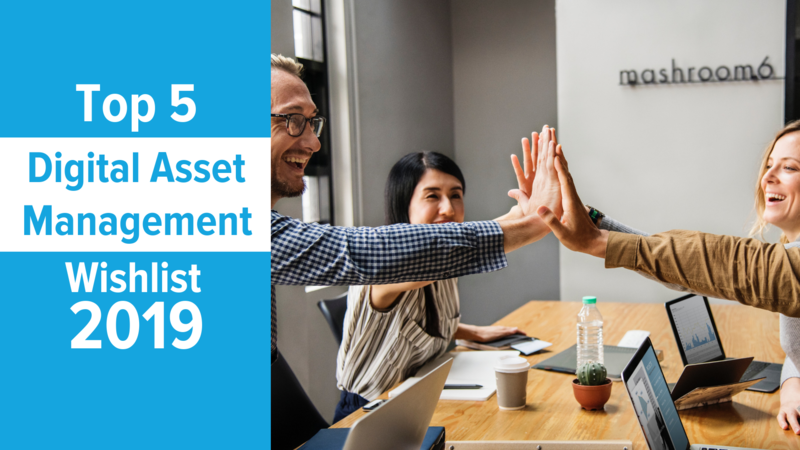 Over the last year we saw continued growth in demand for Digital Asset Management SaaS solutions. 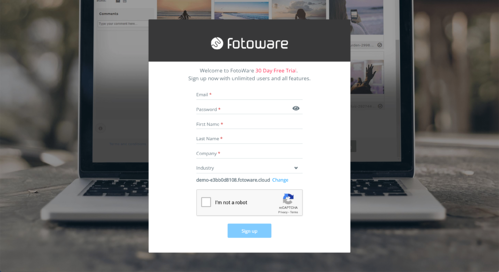 Almost 50% of all new FotoWare customers in 2018 opted for SaaS, greatly reducing their costs and workloads. With SaaS, the software is hosted by the provider (FotoWare), meaning there are no server costs for you to worry about. All updates to the software are automatic, and routine maintenance and back-ups are also taken care of. SaaS gives you increased flexibility, enabling you and your team to access the system from anywhere in the world - without the need for additional tools! Don't just take our word for it though - see why Storebrand decided to get started with a FotoWare SaaS solution. At the end of 2018, we also launched our self-service sign-up, which enables you to set up and try your own DAM completely hassle-free, at the click of a button. Give it a try now! FotoWare Wish #5: We hope to see the growth of SaaS solutions continue in 2019, giving even more customers increased flexibility, removing the headaches of server demands and maintenance, and saving on unnecessary costs. Technology is changing the world for the better! We're privileged to be part of an industry that can have a meaningful impact on changing the world, but it's important not to lose sight of the fact that we must also adapt to the ever-changing technological landscape ourselves. Innovation is one of our key values at FotoWare, and it drives us forward in our mission to make a difference in the lives of our users. Last year, FotoWare CEO Anne Gretland spoke at the Henry Stewart DAM conference in New York on the changes presented by new technology and why it's vital to embrace change and have an open growth-mindset. 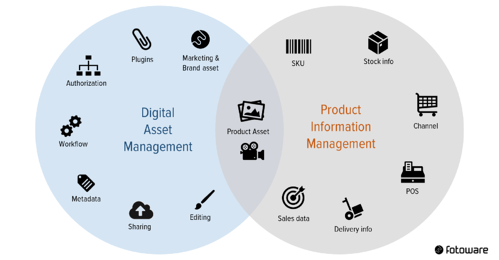 Want to learn more about Digital Asset Management? Download the E-Book to find out how we busted the 7 biggest DAM myths!